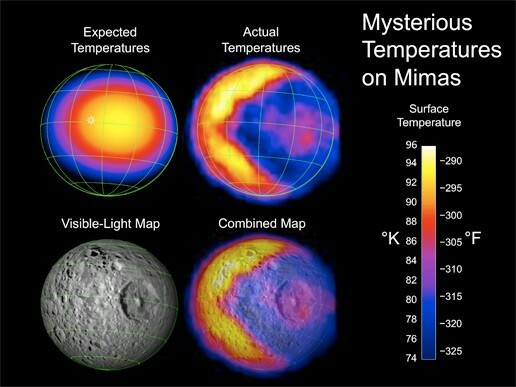 Mimas is one of the moons of Saturn. Because of the large crater on it, it has been said to look like the Deathstar from the Star Wars movies. @ Looney: Yeah, even the warm areas of 96 Kelvin are pretty cool.